THE CMCTS Post Secondary Cosmetology Program is approved by the NJ State Board of Cosmetology/Hairstyling and the NJ Department of Education and is specifically designed to prepare students to meet the NJ licensing requirements. This comprehensive 1,000+ hour program completely prepares you for the written and practical exams you need to pass to be granted a NJ license. Lecture, demonstration and hands-on application of skills/techniques comprise this exciting and lucrative career-oriented program. Styling, hair care, perms, barbering, coloring, waxing and facials as well as manicures and pedicures are all facets of the course of study. A professional toolkit and access to online exam prep is included in the tuition. Mid-course you will be applying your skills when the classroom becomes a working salon. 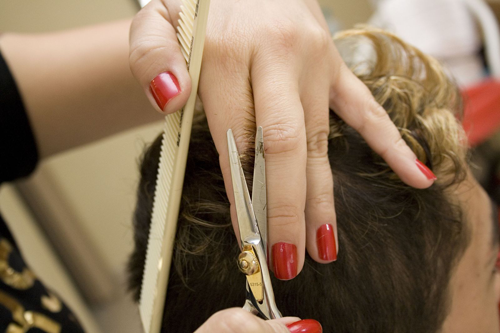 The Cosmetology/Hairstyling Program is a full time, ten-month program. The program is a twilight program with classroom hours Monday through Thursday, 1:30 p.m. to 9:30 p.m. The 2019/2020 Cosmetology program is scheduled to begin in September 2019 and conclude June of 2020. The tuition for the 2017-2018 class is $4,750.00. A payment plan is also available.